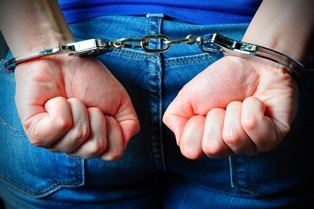 Felonies are the most serious offenses that a person can be charged with committing in Virginia. A felony conviction can result in a lengthy prison sentence and large fines as well as a permanent criminal record. In addition, there are more court hearings in a felony case than when a person is charged with a misdemeanor. If you have been charged with a felony, you need to understand how the criminal process works so that you know what to expect. A felony prosecution begins in one of two ways: either an arrest warrant or indictment is issued. A judge—usually a magistrate—would issue an arrest warrant, and the warrant would need to be based on probable cause that a crime was committed. An indictment would be issued by a grand jury of the circuit court. A grand jury is comprised of five to eight citizens who meet approximately once a month. The prosecutor or police officer often presents a criminal case to the grand jury by advising them of the evidence that the Commonwealth has against the accused person. In almost all cases, the grand jury decides to issue an indictment. The arrest warrant or indictment authorizes the police officer to arrest the individual accused of committing a crime. Arraignment. An arraignment will be held at general district court or juvenile and domestic relations court and will often be in front of a magistrate. At this hearing, the judge or magistrate will advise the person of his right to an attorney and make a decision on setting bond, which is the amount that must be paid to be released from jail until the person’s trial. Preliminary hearing. A preliminary hearing is also held at a general district court or juvenile and domestic relations court. While it may seem like a trial, the purpose of the hearing is to determine whether the prosecution has presented the minimum level of evidence to establish probable cause to justify sending the case to circuit court. If the judge finds no probable cause, the case is dismissed. At this hearing, the attorney for the accused person will also have an opportunity to obtain discovery of evidence against the accused and discuss the case with the prosecutor. In some cases, a plea agreement is entered into at the preliminary hearing. Formal arraignment. If the judge finds probable cause, the case goes before a grand jury in circuit court, which decides whether there is sufficient evidence to proceed. The accused and his attorney do not attend this hearing. If the grand jury decides that the case should move forward, a formal arraignment or “term date” is scheduled where the formal charges are read and the person must enter his plea to the charges and exercises his right to ask for a jury trial if he wants one. A trial date is also set. Plea day. If the person waives his right to a preliminary hearing and enters into a plea agreement, his case would be scheduled for a plea day. At this hearing, the judge would question the person to be certain that the person is pleading guilty voluntarily. If he is, a sentencing date would be scheduled where the judge would issue a sentence. Trial. If the person pleads not guilty and does not enter into a plea agreement, his case will go to either a jury trial or a bench trial in front of the judge. At the end of the trial, the jury or judge will decide whether the accused person is guilty or innocent. If the case is decided by a jury and they find the person guilty, they will also decide his sentence. Appeal. If the person does not agree with the decision at his trial, he can try to appeal the case to the Virginia Court of Appeals and Supreme Court. The penalties you face for a felony conviction will depend on the crime you are convicted of and its classification under Virginia’s felony classification system. You could face a lengthy prison sentence, including for life, the death penalty for a capital murder conviction, and hefty fines. If you are charged with any felony, you need the assistance of an experienced criminal defense attorney who can help you build your defense, so that the charges can be dismissed or reduced to a less serious charge with fewer penalties. Call our office today to schedule your free consultation.